I always hesitate to label a recipe as “the best” because there are so many excellent recipes for any given item. As soon as I decide one recipe is the best, I try another recipe and think it is even better. So I am more likely to designate a recipe as “one of my favorites” or “one of the best”. I have also been known to say that a certain recipe is one of my Top 5 or Top 10 favorite recipes. But “the best”? I have a hard time handing out that label. That being said, this Blueberry Sour Cream Muffin recipe is one of my favorites, one of my Top 5, and absolutely one of the best muffin recipes ever. THE best? Maybe! Give this recipe a try and you be the judge! These muffin are full of blueberries, and the sour cream makes them perfectly moist. This is a simple recipe to make—it’s so easy to whip up a batch for breakfast, for a snack, or for dessert. The secret to these blueberry muffins is the sour cream which makes them perfectly moist and delicious. 1. Preheat oven to 400°F; grease muffin cups or line with paper liners.2. In a large bowl beat eggs; gradually add sugar while continuing to beat.3. Continue beating while adding the oil; sir in vanilla.4. In a separate bowl combine flour, salt, and baking soda.5. Add the dry ingredients to the batter alternately with the sour cream; gently fold in blueberries.6. Use a large scoop to add batter to prepared muffin cups.7. Bake in preheated oven for 18 - 22 minutes; remove from muffin cups and allow to cool on a wire rack before serving. These are some gorgeous muffins Jill. Nothing beats a classic blueberry muffin! Beautiful blueberry muffins...blueberries throughout! Great photos too! I think it's okay to say the best you've made if you feel that, because that doesn't say it's the best, but the best you've made. Blueberry and Sour cream are great combo.This will get a warm welcome in my house. Seasonal berries and sour cream are for sure a killer combo! These muffins look marvelous! Excellent combo. This looks good. I haven't made blueberry muffins in a while but these sound so good. I love the addition of sour cream a favorite of mine that literally I've been known to eat from a spoon. I need to give these a try especially since I have all the ingredients on hand. I love adding sour cream to muffins! It gives off such fluffiness to it so I'm sure this is the best! Since you put it that way, it seems like a recipe I really do have to try! I agree though, there are just so many good recipes out there, it's hard to pin whether one is better than another! I love making blueberry muffins, and the addition of the sour cream improves the texture for sure. This is a great recipe to try! This looks super delicious! Yum!! As long as you and your family call it the best, then why not give it a proper title. I need to eat more blueberries before they are gone for the season and this would be a super yummy way. Have a great weekend. On the hunt for perfect blueberry muffins. 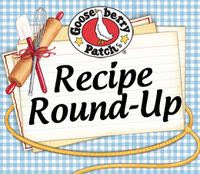 Do you have a recipe that does not use sour cream? Do not always have that item on hand. Just made them and used greek yogurt (full fat) instead of sour cream and they are incredible! just made these and they turned out great! Used Greek Yogurt to replace sour cream (Full fat). Just had my third muffin, soo yummy! I used whole wheat flour and brown sugar because that is what I had on hand. These are the best blueberry muffins ever! !